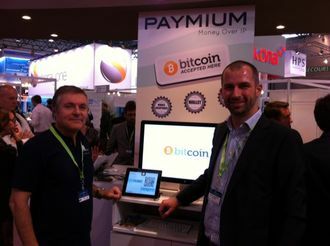 Paymium has operated Bitcoin-Central since 2012 and has plans to make bitcoin easier to handle in 2013 with the use of debit cards linked to payment accounts that accept the alternative virtual currency. The company’s ultimate goal is to offer cheaper banking services than traditional banking systems. Last week, Paymium announced their partnership with Aqoba to make bitcoin handling easier and utilize its cheaper transaction fees.While Paymium handles Euro deposit for bitcoin purchases, those who handle third-party payments and deposits need to register their PSPs in most countries. In lieu with their partnership, Aqoba will administer payment accounts to buy bitcoins through Paymium with an international bank account number (IBAN). Aqoba works through links with the traditional banking system of Crédit Mutuel Arkéa bank, which provides it with financial infrastructure to operate as a PSP. According to Noizat, Paymium is planning to offer debit cards early next year for easy fund withdrawals. The company is still investigating whether non-French citizen can open accounts legally. This announcement marks the progress of bitcoin as a faster and cheaper transactional system. While banks often charge flat rates for overseas wire transfers, bitcoins offer a cheaper alternative. It only charges a fraction of a cent to the sender, and free to the receiver. The recipient can then convert the bitcoins through a local exchange. Since its launch in 2009, Bitcoin has the potential to introduce competition to traditional banking systems which lack innovation. However, before it can become the next currency, it needs to prove itself as a reliable transaction network, first.